A new patio is an excellent way to improve the appearance of your garden. At A1 Paving, we offer a wide range of different patio slabs to ensure that your new patio complements your home perfectly. Having a wall or path installed can enhance your home. Our wall installation service is also ideal for home owners on busy streets, as they reduce the likelihood of rubbish making its way into your garden or pedestrians inadvertently causing damage to your property. Our paths and walls are available in a variety of different materials and we work hard to ensure that you receive the best option for you and your budget. 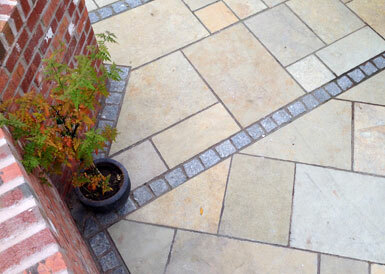 If you're looking for a new path or patio for your property, why not call us today?